The heart is a concept we take for granted today. It is typical for us to hear a phrase such as, “I was heartbroken when I heard the news,” or “My heart leapt for joy!” We know that it is not the physical heart that is being referred to when referenced in these expressions, but a reality that lies beyond the physical domain. No one follows such phrases with a clarifying statement, as if to assure the person that they weren’t referring to one of their vital organs. What is the heart that is spoken of in the instances mentioned above, both contemporary and ancient? Why is this concept so central to who we are? Catholic philosopher Dietrich von Hildebrand takes up this question in his book The Heart. 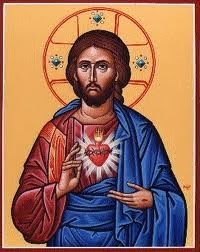 Using the Sacred Heart of Christ as the basis for his discussion on the human heart, von Hildebrand proceeds to take a brief look at the heart in the history of philosophy. According to von Hildebrand, the heart has been largely marginalized in the field of philosophy throughout the centuries. Much time has been spent by philosophers in developing concepts such as the intellect and the will, as well as the subsequent categories of virtues and passions. In his text, von Hildebrand ventures out to give the heart its rightful place in the field. In the following posts, we will continue to explore what von Hildebrand observes and concludes about the heart of man. Direct quotes taken from Dietrich von Hildebrand’s The Heart: An Analysis of Human and Divine Affectivity (Chicago: Franciscan Herald Press, 1977). All Bible verses cited here are taken from the Revised Standard Version-Second Catholic Edition. See the introduction and first chapter of the text, specifically pages 19 and 25.